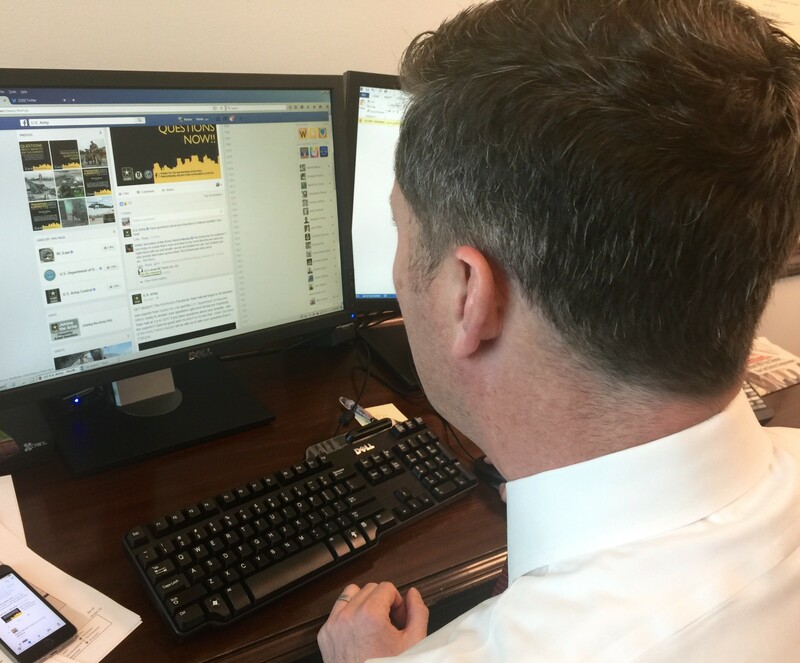 WASHINGTON (Army News Service, March 30, 2016) -- Acting Secretary of the Army Patrick J. Murphy hosted an online town hall Wednesday to answer questions about transition and Veteran benefits. Also online with the secretary and his team of advisors were representatives from the Veterans Affairs and the Army's Soldier for Life office. I'm "so excited to join today on a topic that's near and dear to me," Murphy said, kicking off the half-hour event. "From the time we raise our right hand until our last breath, we are all Soldiers for Life. Our Soldiers are civic assets that make up less than 1 percent of Americans who serve." Q: What is the Army doing to help better prepare Soldiers to find employment after their time in uniform? Murphy: We're making sure that Soldiers are transition-ready. All of us will eventually transition back into the private sector. Our Army family is investing in Army University, credentialing, and Soldier for Life - and we're partnering with the VA, the Department of Labor, Small Business Administration, and allies in the private sector to champion our Soldiers with their next chapter in life. Soldier for Life: There are installation Soldier for Life - Transition Assistance Programs to assist Soldiers who are transitioning from the Army. Additionally, there are Career Skills Programs that assist transitioning Soldiers gain a skill to make them 'career ready' when they separate. Soldiers participate in a CSP during their last 180 days of active service at their place of duty. CSPs can include job training, employment skills training, apprenticeship or internships. VA: There are a number of VA resources available. You can use the GI Bill, Chapter 36 (Educational and Vocational Counseling), or if you have a service-connected disability, you can also apply for Vocational Rehabilitation & Employment (VRE, aka Chapter 31), which is an employment program with a potential educational aspect to it. Chapter 36 gives you access to a VR&E counselor and can assist you in determining a feasible vocational direction. You just have to apply at Vocational Rehabilitation and Employment. Q: What MOSs in the Army now have avenues for getting equivalent credentials in the civilian world? 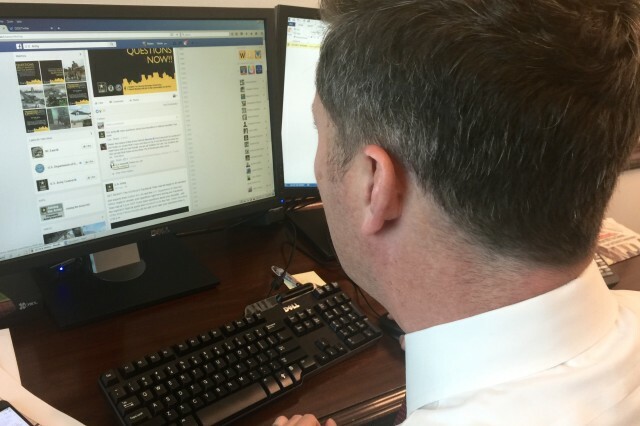 Murphy: When I was [physically training] with combat medics at Fort Sam Houston a couple weeks ago, I was so proud how their EMT pass rate was over 90 percent -- which is much higher than their civilian counterparts taking the same credentialing test all over the country. You can look up specific MOS equivalents at Army Credentialing Opportunities On-Line. SFL: You can go to Army Credentialing Opportunities On-Line and put your MOS in there to see what credentials you are eligible for. Jason, with VA: We have an MOS/military skills translator on our Veterans Employment Center website. I was a forward observer in the Army many years ago. When I input my MOS into the translator, it gives me many keywords and skills that apply directly to a resume. Q: How can a Soldier who was honorably discharged submit a claim for veteran's benefits, and for getting support for medical issues now, when so many parts of their medical records are missing? VA: Medical records are not the only type of records accepted as evidence. For example: photos, statements and performance appraisals have been submitted and accepted. The most important thing is to apply using eBenefits online. We encourage you to also seek free assistance from a Veteran Service Officer (like VFW, DAV, Legion, etc.) They will assist you with your claim! Q: My Soldier is going through Advanced Individual Training currently and we are planning to move once he gets finished with his training. I am worried that we won't be able to find housing. I know of the temporary housing, but I am not sure how it works and I am worried my family won't have somewhere to stay once we get there. SFL: Once your service member is assigned a sponsor, they can help you with all questions you may have. You can also contact the base housing where you will be stationed at, and they will let you know what is available at the time you are arriving. Q: Is a Soldier entitled to help in finding a job when he or she retires? My husband is due to retire soon. He's currently stationed at a small base that isn't Army. Won't he miss out on opportunities offered to Soldiers retiring at larger posts? SFL: All military services are mandated by the VOW Act to participate in a transition assistance program, therefore he should be afforded the opportunity to participate in the TAP process, even if it isn't at an Army installation. As an additional option, he can also receive virtual SFL-TAP services. Jason, with VA: There are many options. First of all, you can find all federal jobs on USAJobs.gov and, if you're interested in VA, you can get assistance from Veteran Employment Services Office VESO - VA for Vets. That's how I got in. In addition, you can check out the Veterans Employment Center. You may also be eligible for assistance through Vocational Rehabilitation & Employment. Q: I was wondering how to find schools that offer in-state tuition for Veterans? VA: If you are within three years from date of discharge, the public schools should be offering in-state tuition to veterans using GI Bill benefits (Post-9/11 & MGIB). Check out our comparison tool for more information. SFL: The state fact sheets on My Army Benefits website list all benefits the state offers to Veterans, including tuition benefits. From the menu, select the Benefits Library and then state fact sheets.